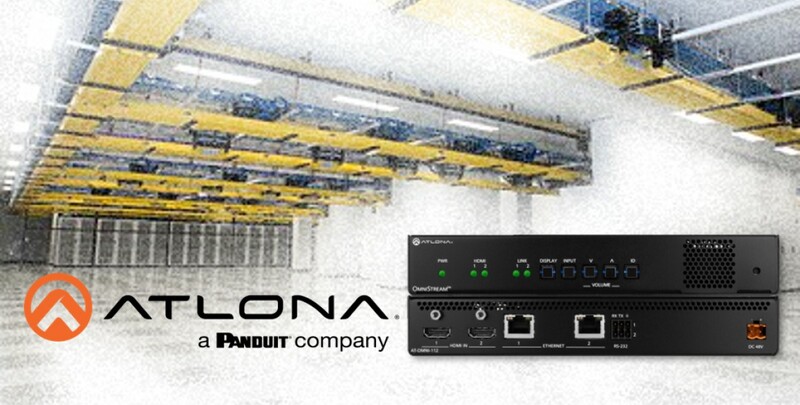 Network infrastructure company Panduit acquires Atlona, provider of audio/video distribution systems, in anticipation of further convergence in A/V and IT ecosystems. 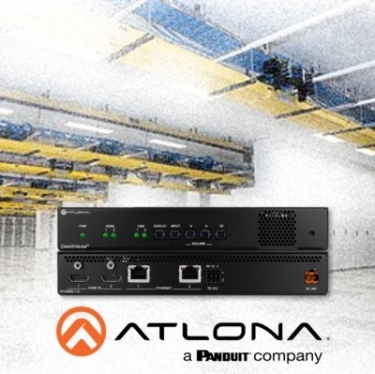 Atlona's OmniStream line of AV-over-IP solutions will be right at home on the Panduit networks installed by commercial IT pros. The acquisition gives 65-year-old Panduit a full line of A/V electronics to offer its dealers, mostly electrical contractors and IT solutions providers. Currently, those dealers install Panduit's connectivity products -- mostly passive -- including cables, cable management, enclosures and patch panels. Atlona, founded in 2004, sells A/V-distribution and -control systems, mostly through home-technology integrators and commercial A/V specialists. Given the convergence of IT networking and audio/video these days -- both the installation channels and the product lines -- the acquisition made sense for Panduit, based in the Chicago suburb of Tinley Park, Ill.
Panduit initially approached San Jose, Calif.-based Atlona two years ago about creating an OEM solution for A/V distribution, Kelly tells CI. Over time, the two companies recognized an opportunity to increase market share in both the IT and A/V sectors. Atlona brings to Panduit “a solution we didn’t offer,” he says. “We’ve had customers asking us for more active solutions." 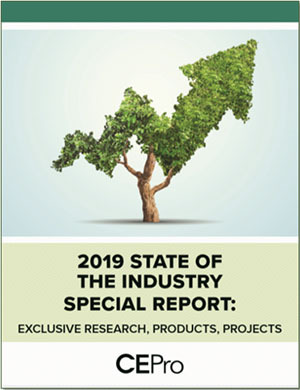 In particular, Panduit sought to deliver A/V-over-IP solutions to IT-centric providers who were already laying the foundation for enterprise-grade networks. Kelly says he was “blown away” by Atlona’s technology. Like other video-distribution companies, Atlona started life making matrix switches, routing HDMI and other video signals to TVs and displays throughout the home or commercial property. In 2016, the company introduced OmniStream, it’s first IP-based A/V system, designed to distribute and manage 4K video, audio, and RS-232 control systems over gigabit Ethernet networks employing off-the-shelf network switches. "We created OmniStream as an entirely new platform for dependable, high-performance 4K video distribution over enterprise-wide network installations," said Atlona product manager David Shamir in 2016. "It delivers the performance and reliability of traditional AV technologies and satisfies the technical demands of AV pros as well as IT managers." Atlona has invested heavily in the OmniStream line ever since, introducing the “streamlined” R-Type model in 2017, followed by a USB-over-IP family of products, the "All-IP Meeting Space," and most recently an update that enables “industry-first” support for Dolby Vision dynamic HDR. With the new feature release, OmniStream becomes the only AV over IP platform capable of streaming and decoding ultra high-definition, Dolby Vision 12-bit HDR content at 60 frames per second over standard 1 Gigabit or 10 Gigabit Ethernet networks. OmniStream’s unique Atlona-developed algorithm enables full preservation of Dolby Vision HDR metadata while maintaining visually lossless image encoding and decoding, providing complete interoperability with Dolby Vision HDR streaming media players, Ultra HD Blu-ray devices, gaming systems and displays. 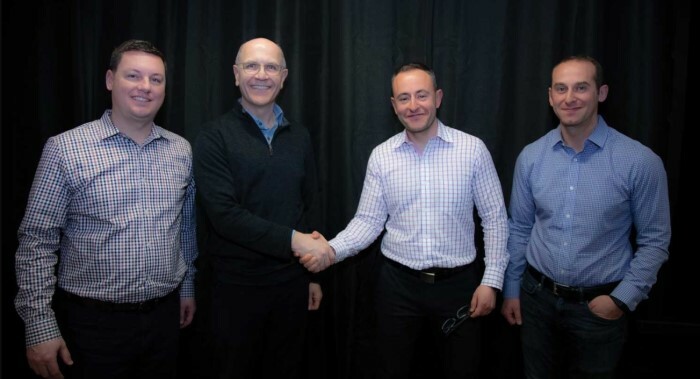 Atlona co-founders and brothers Ilya Khayn (CEO) and Michael Khain (VP engineering and product management) took the company about as far as they could in their 15 years of stewardship, Khayn tells CI. To achieve the global reach they envisioned, the brothers would need a partner like Panduit, the CEO says: “What we were missing was the ability to create enough awareness and go deep into the channel. … It’s a decision that doesn’t come easy." Khayn says he and his brother built Atlona "pretty much from scratch," and the Panduit deal was not just a good commercial opportunity for them personally, but also "the best opportunity for the legacy of the company." The Atlona team will join Panduit’s enterprise business group as part of the deal. Atlona will remain based in San Jose, Calif., for all sales, customer support and training needs. Khayn says Atlona nixed overtures from private equity firms and from competitors in the pro-A/V market, preferring instead to keep the company intact as an independent business unit within Panduit. He anticipates the new resources will help Atlona provide a “higher level of service” and accelerate product development. Right now, Kelly says Panduit’s biggest opportunity is to “pass leads” between the Panduit and Atlona sales organizations. “We should be putting our effort where the customer receives benefit and let other things happen when they happen,” he adds. 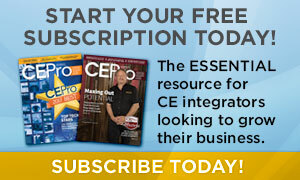 Are more A/V acquisitions in the offing?